In the world of Big Data, Hadoop is pretty much king. It all began back in 2003 when Google published a white paper on a data processing method called MapReduce. This is the invaluable tool that allows large scale data processing across commodity server clusters. In 2004, Apache Hadoop was born. Creators Doug Cutting and Mike Cafarella had provided an open source platform that allowed for efficient data management. Hadoop is the tool used for storing and analyzing huge sets of information. In the 13 years since then big data (i.e large data sets in a distributed computing environment) has exploded. Organizing and processing that data would not be possible with Hadoop. However, Hadoop is not the only big data management tool in town. How is it that the open source platform created way back in 2014 became the tool of choice? What makes this software so important? Why is Hadoop so important? One of the main reasons Hadoop became the leader in the field (apart from being one of the first out of the gate), is that it is relatively inexpensive. Before Hadoop, data storage was pricey. With Hadoop however, you can store more and more data simply by adding more servers to the cluster. In this way, data storage growth is organic to the demand. Each new server (even low price x86 machines can be added to a Hadoop cluster) adds additional data storage with close to zero lag. We answer this question in far greater detail in our recent review of the top 5 Hadoop courses currently available online. However, to briefly explain the core components: Hadoop utilizes both the Hadoop distributed File system (HDFS) and the aforementioned MapReduce. MapReduce is the system used that distributes the data into a cluster. This then allows processing to take place locally on every machine in the cluster. The results from each individual machine are then combined to provide the outcome, processed result. The HDFS component is the distributed file system used to save data into nodes and clusters. In short, the above processes (controlled via Hadoop and MapReduce) makes data management far easier because large data sets are broken down into manageable chunks, at the same time as being processed in a single, connected system. There are many benefits of using Hadoop when managing large data sets. As we covered above, a Hadoop run data system can be scaled very easily. You simply add additional servers to the cluster, and have them working in parallel. Hadoop systems can affordably store company data for later use. Adding inexpensive servers to the system allows a company to increase its storage capabilities in line with their demands. The nature of the infrastructure allows for greater flexibility too, both on the hardware side and the data management. Hadoop can manage data to generate reports across a wide range of data sources. Whether it be social media, email conversations, website visitor tracking, marketing campaign analysis or even data security. Hadoop does all the above with high rates of speed and efficiency. Hadoop is able to process TBs of data in mere minutes. As explained above, when Data is sent to a node, another node will duplicate the same data as a backup. So if there is failure in one part of the system, the data can be retrieved elsewhere. Hadoop will make up to three copies of the data across as many nodes. (This can end up leading to nine copies of the same piece of data, as other copies are make locally for maintaining performance). SQL support within Hadoop is not as good as it could be. For instance, currently there are no provisions for functions such as group by. Despite the speed of data retrieval and processing, Hadoop is still rather inefficient in some of its executions. This is because of the sheer scale of the data (and the fact the system makes duplicates across the nodes as well as locally), makes everything more bloated than it potentially needs to be. While the duplicating of data for loss reduction is vitally important, it can also be seen as a operational hindrance. With all the above being said, it is still clear that Hadoop is the winning data management platform for companies dealing with big data; Facebook, Google and Microsoft all use it. For companies all over the world, Hadoop has become the one stop solution to the big data management needs. That fact does not look as if it will change any time soon. 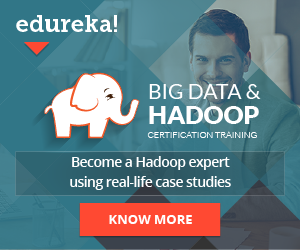 Interested in a career in big data and Hadoop? Head to our top 5 review round up with details of some of the best Hadoop training courses currently online.